Make SoccerZone Your Ultimate Party Destination! 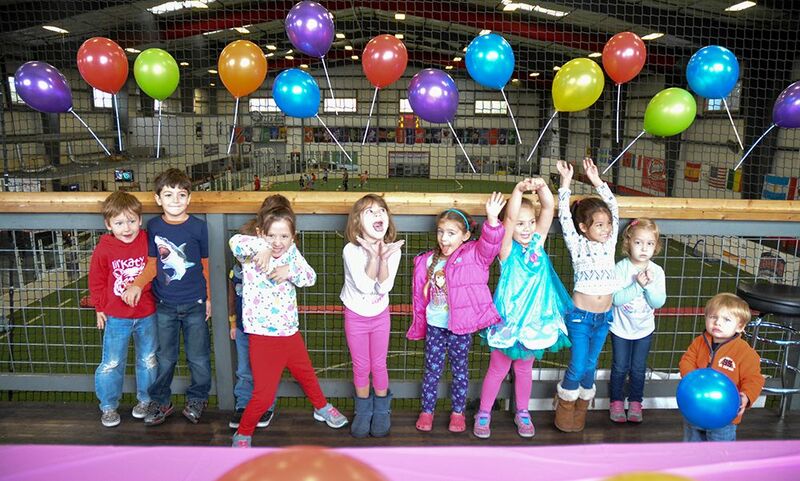 Our birthday party packages are guaranteed to entertain party animals of all ages. We offer a variety of customized party package options at each of our four locations. We do the work, you have the fun! Both amazingly fun 2-hour party packages include picnic tables, Drink Tower, plates, napkins, utensils, and one hour of field time for games of soccer, dodgeball, flag football, ultimate frisbee, or any other sport you can think of! Fall and Spring availability only. Both packages include Drink Tower, plates, napkins, utensils, and one hour on court/field. All ages welcome. Pizza from Domino’s. Include Drink Tower, plates, napkins, utensils, two hours of fun, and lasting memories! $50 Deposit; 12 kid minimum. Three to four days before your celebration, we’ll call to review all final plans, including expected number of guests, food options, party host request, etc. If details change, don’t hesitate to contact SoccerZone at any point before your party. You are welcome to arrive early to set up for your party. We will provide the balls and other equipment needed for the sports/games your child wants to play. If you chose to have a party host, then that individual will be there to run the games and take care of your every need. Even without a party host, our manager will be there to assist with anything you need. Just relax and watch the kids have a blast! For both our Blast and Super Blast party packages, we’ll provide table cloths, cups and drinks, utensils, plates and napkins. If you’re having a Super Blast party, then we will also provide pizza and popcorn. The only outside food we allow is fruit/veggie trays, cake and ice cream. You are welcome to bring additional decorations. Things change. We understand. However, by taking your reservation we exclude others from that spot. Therefore, the $50 deposit is non-refundable, but can be applied to a future party (or other SoccerZone service) if we are given at least 48 hours notice. The SoccerZone team is dedicated to providing the greatest party experience for you and your guests. Gratuities are not expected, however, if you find that we have exceeded your expectations, we would greatly appreciate your referral to friends and family. Gratuities are completely at the discretion of the guest, and if you choose to give your host/coach a gratuity, it would be much appreciated.